Twenty to thirty years ago we witnessed a massive rise in asthma rates among children. It came to be considered a public health emergency not only because asthma was becoming so very common, but more so due to the dramatic increases in hospitalization rates caused by asthma. Asthma, an allergic disease, was not just increasingly annoying, it was an increasingly serious health issue. There is good news. First, that asthma rates have stopped climbing so rapidly. Second, this wave of illness opened medical eyes to see greater complexity in the causation of asthma. The view that some exposure to bacteria and viral illnesses is an important part of healthy immunologic development, initially embraced by a few of us (especially me), is no longer considered radical. Medical science is increasingly accepting of the asthma-inducing influences of many factors, such as vitamin D and previously ignored environmental chemicals. There is also bad news. Food allergy rates are now rising with much the same ferocity we saw with the asthma epidemic. An especially disappointing story in the bad news is that many of our good efforts reduce food allergy rates have not helped. They actually back fired. What IS going on? Some of the reasons for increasing food allergy rates are the same. Living indoors makes us sick. Lower vitamin D, less exposure to the bacterial richness of soil, less physical activity, increased chemical exposures, too little animal contact at the beginning of life, etc., all appear to contribute to higher risk of food allergy as well as asthma. It might be that food allergies are slower to appear and we might then soon see an imminent plateauing of the disturbing food allergy numbers as we did with asthma. Although I just made up that sunnily hopeful theory, I have to shoot down my own optimism, or maybe blunt it (a lot). We have evidence that in many cases, food allergies develop much earlier in life than we thought. Australian researchers, entering patients into their studies at four to six months of age, found that 29% of children with eczema already had food allergies. As eczema is an allergic disease and I find dietary treatment highly successful, it is dismaying but not hugely surprising that so many had food allergies. In some their reactions where already so severe that they could even suffer lethal allergic reactions to foods. If allergic onset occurs in some individuals so very early in life, then one would expect that food allergy rates would plateau as rapidly as did asthma. Not so. For at least two generations, the medical advice has been to avoid exposure to common food allergens up until one year of age. That makes sense. Research is expensive. An approach so “obviously correct”, and with no significant monetary reward (ie medication sales) is unappealing for those funding research. Squeaky wheels eventually are greased, though. With more people having more problems, more research is being conducted. What are we learning? Avoidance backfires. Avoidance might actually be causative in some cases. Sure, exposing a child to something which will make him/her sick is a bad idea. However, it is becoming very clear that our present approach badly needs rethinking. One study gives us some hope, although for very unclear reasons. Investigators found that two year olds were less likely to have food allergies if they ate a diet largely prepared at home with lot of fruits and veggies. In other words, a healthy diet. Beyond that, the causes are pure speculation. Processed foods often contain a mix of dubious chemicals or nonfood foods. Veggies have lots of nutrients. Fruits are somewhat less nutritious but HUGELY better than the processed sugary treats that replace fruit in many peoples’ diets. 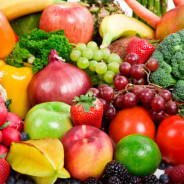 Although more specifics could be very useful, because there are innumerable reasons to recommend a diet high in veggies and fruits but low in processed food, I am not disappointed. For some time now I have been encouraging parents to cautiously expose their little ones to allergenic foods much earlier than I had in the past. It seems that maybe even earlier is warranted or maybe to their nursing mothers. Every one at every age needs to avoid chemical exposures as best they can, especially during pregnancy and early in life. Probiotics are literally vital, even more so for moms during pregnancy, for moms during lactation and babies from birth. A healthy diet (organic, homemade, lots of veggies and fruit) is always important. Too many people forget that a diet that is not diverse is automatically not healthy. Early in life, that means a little of this, a little of that, including possible allergens UNLESS there is a severe reaction. Another source of frustration is that present methods of testing for allergies are extremely unreliable. Few food allergies cause changes in IgE (the most dependable blood marker). Good clinical management including parental care and observations are essential to bettering the health of these children.